5 ways to increase your acceptance rates by 85. 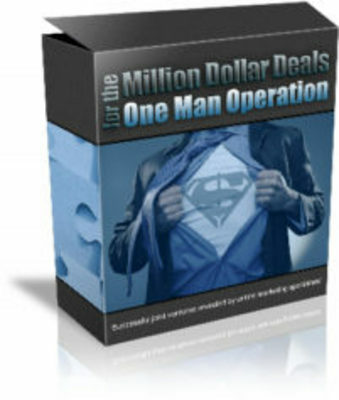 Tailor your deal to your joint venture prospect and start seeing your ad sent to more of these hugely profitable targeted lists every single time you launch a new product. It's easy to hit the magic 85 mark if you have the right information. We'll show you how to get it for free in a mere three minutes of your valuable time. 5 ways you know if you're going to be accepted before you even make first contact. Most marketers I meet are wasting time trying to complete joint venture deals with specific people at specific times. Are you? Show me the deal, show me the target, and I can tell you within 2 minutes with a 95 rate of accuracy whether you'll get a yes, or a no. I'll show you exactly how I do this, and how you can put it to good use too. You might well be wondering: what if it doesn't work for my business? What if I already know all of this? What if I'm not 100 happy with the course and it's another poor excuse to make a quick buck out of me?